Lines 43-58 show off the QR clock for a maximum of 12 seconds. Any more, and you’d get really bored. cls() — Clears the screen. led(brightness) — sets the backlight to brightness. For me, full brightness is at 768. A value of zero turns the backlight off. 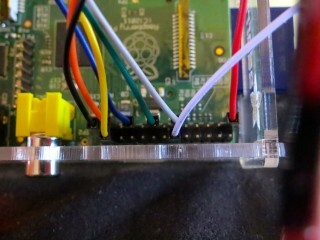 If you don’t have the screen LED connected to one of the Raspberry Pi’s PWM pin, this will either be full on (for any brightness >= 1), or off, for brightness=0. This is used to fade up the screen in lines 24-26, and fade it down far too theatrically in lines 72-74.
show_image(PILImage) — display a single bit depth black and white Python Imaging Library object PILImage. This can be no larger than 84×48 pixels. gotorc(row, column) — move the text cursor to row, column. The screen only has 14 columns by 8 rows if you use the standard 6×6 pixel font, so keep your text short to avoid disappointment. text(text) — write text at the current cursor position. centre_word(row, text) — write text centred in row row. Since the text rows are a maximum of 14 columns, text with an odd number of characters will appear slightly off-centre. There are many more functions in the nokiaSPI class; watch the demo, have a dig through the source and see what you can use. 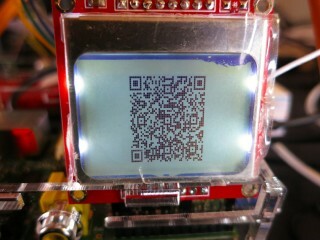 This is a human-unreadable clock on a cheap Nokia LCD powered by a Raspberry Pi. Update 3: code for the demo video is here. Update 2: In which I actually post working code. Update: Eep! 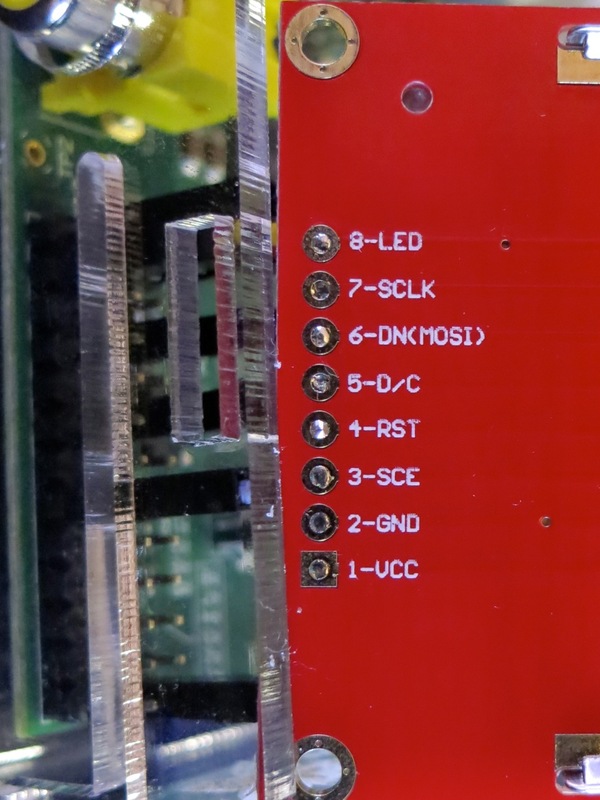 This post was featured on the Raspberry Pi blog today. Thanks, Liz! … a clock that isn’t human readable. You’ll need a QR code reader to be able to tell the time. This, however, is not the prime purpose of the exercise. 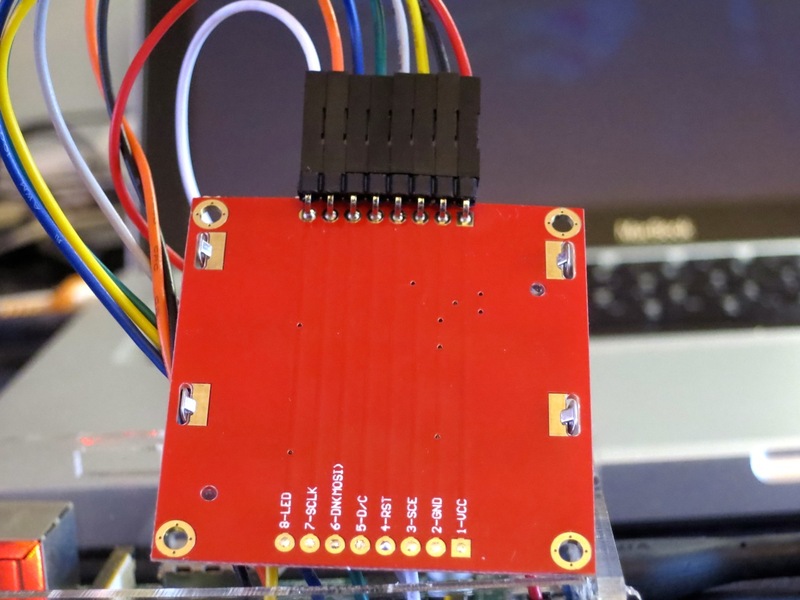 I was looking for an excuse to try some direct hardware projects with the GPIO, and I remembered I had a couple of Nokia-style surplus LCDs lying about that could be pressed into service. These LCDs aren’t great: 84×48 pixels, 3V3 logic, driven by SPI via an 8-pin header which includes PWM-controllable LED backlighting. They are cheap, and available almost everywhere: DealExtreme ($5.36), SparkFun ($9.95), Adafruit ($10 – but includes a level shifter, which you really need if you’re using a 5V logic Arduino), Solarbotics ($10) and Creatron (about $12; but you can walk right in and buy one). Despite being quite difficult to use, helpful people have written drivers to make these behave like tiny dot-addressable screens. 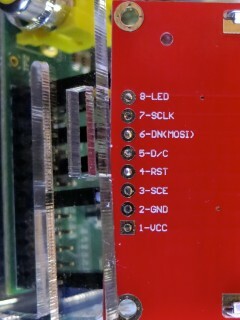 To get all this working on your Raspberry Pi, there’s a fair amount of configuration. The best references are bgreat’s own comments in the thread, but I’ve tried to include everything here. Finding a library that provided all the right functions was the hardest part here. 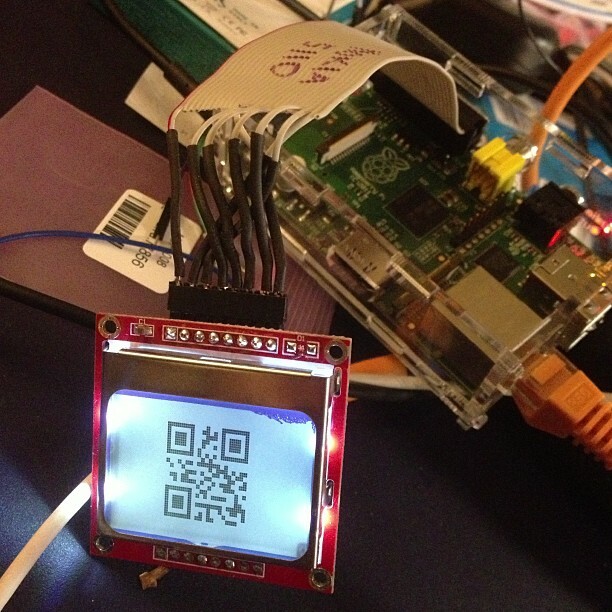 I ended up using mozillazg‘s fork of lincolnloop‘s python-qrcode module. mozillazg’s fork lets you use most of the lovely PIL methods, while the original hides most of them. Since I had to do some image compositing and colour remapping to make the image appear correct on the Nokia screen, the new fork was very helpful. The tiny 84×48 resolution of the Nokia screen doesn’t give you many options for sizing QR codes. 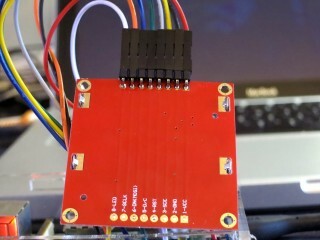 For the time display of the clock, a 21×21 module Version 1 code with two pixels per module and one module margin just fits into 48 pixels. 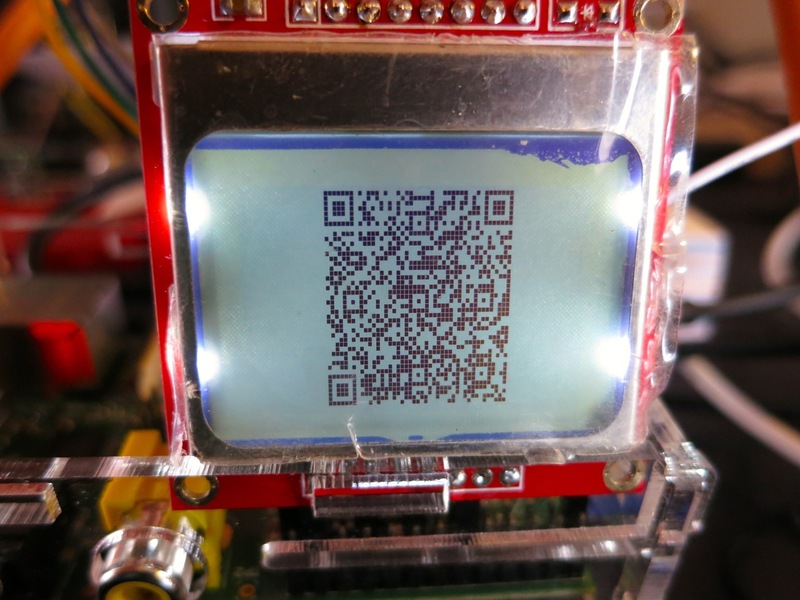 Using a medium level of error correction, you can fit the 19-character message (such as “2013-01-19 18:56:59”) into this tiny screen with a very good chance of it being read by any QR code reader.